ahgabebe Great seller to deal with! Item delivered as described Thank you! 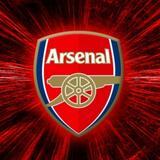 muujaaa Great seller to deal with! Item delivered as described Pleasant transaction! Thank you! 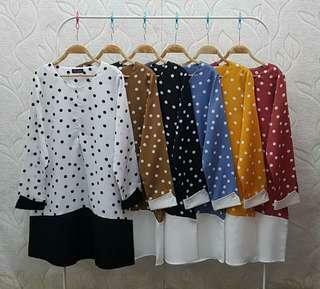 [ #Hadni_Blouse ] . 🦋 Blouse 🦋 . 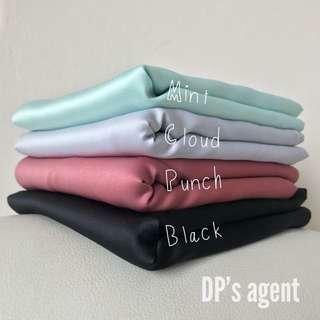 Code: AD010 Material: Cotton Crepe Harga: RM30 Postage: RM8 | RM12 . Special Price 3PCS RM 100 FREE POSTAGE❗️ 3PCS RM 100 FREE POSTAGE❗️ 3PCS RM 100 FREE POSTAGE❗️ . . Bahu 16 Dada 40 Ketiak 20 Lengan 24 Labuh 38 . 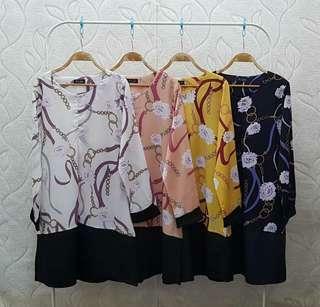 [ #Hadni_Blouse ] . 🦋 Blouse 🦋 . Code: AD009 Material: Cotton Crepe Harga: RM30 Postage: RM8 | RM12 . Special Price 3PCS RM 100 FREE POSTAGE❗️ 3PCS RM 100 FREE POSTAGE❗️ 3PCS RM 100 FREE POSTAGE❗️ . . Bahu 16 Dada 40 Ketiak 20 Lengan 24 Labuh 38 . [ #Hadni_Blouse ] . 🦋 Blouse 🦋 . 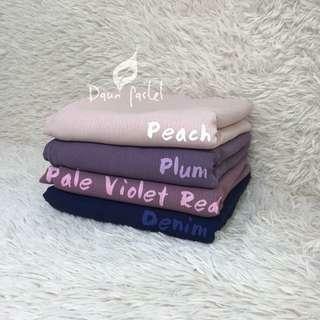 Code: AD008 Material: Cotton Crepe Harga: RM30 Postage: RM8 | RM12 . Special Price 3PCS RM 100 FREE POSTAGE❗️ 3PCS RM 100 FREE POSTAGE❗️ 3PCS RM 100 FREE POSTAGE❗️ . . Bahu 16 Dada 40 Ketiak 20 Lengan 24 Labuh 38 . 3CE DUO COVER CRAYON 2.5G . RM70 | RM75 . 🚚Free Postage . 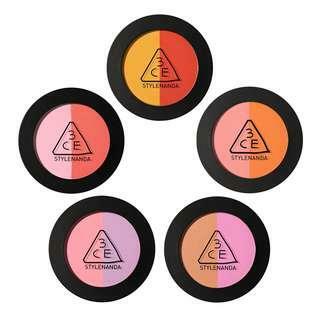 Easy to blend shades for customized correction so you can enjoy perfect coverage whenever and wherever you are . 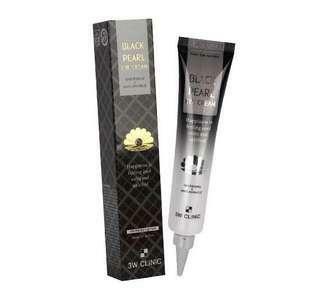 3W CLINIC BLACK PEARL EYE CREAM WHITENING & ANTI WRINKLE 40ML . RM35 | RM40 . 🚚Free Postage . Contain nourishing pearls and naturally derived botanical ingredients to create a unique anti wrinkle and whitening eye cream. Provide a healthy elasticity and lively vigor to the sensitive area . 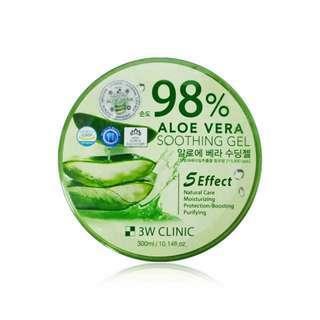 3W CLINIC COLLAGEN SLEEPING PACK 100ML . RM45 | RM50 . 🚚Free Postage . Nourish and moisturizes rough skin that is fatigued amd stressed put due to external stimuli. Returning it vivacity and elasticity the next morning after a good night rest . KURUNG ALANA . 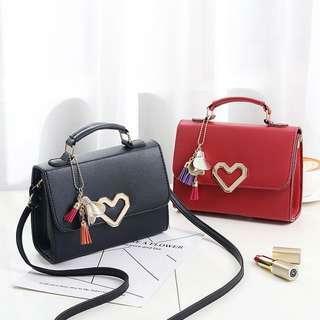 Code: RB007 Harga: RM105 | RM110 . ❌ Jarang Kecut Mudah Kedut Berbulu Lepas Basuh Renyuk Mudah Luntur . ✅ Mudah Gosok Sejuk & Selesa Tahan Lasak . BAWAL SATIN BIDANG 45 . Code: DT005 Material: Satin . Harga: RM15 Postage: RM8/RM11 . . •Lembut . •Tak Jarang . •Selesa . •Mudah Gosok . BAWAL CORNSKIN BIDANG 50 . 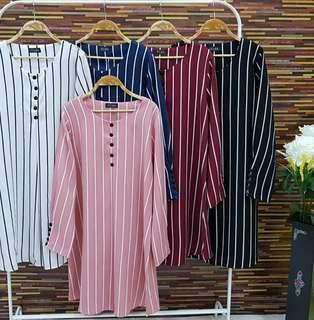 Code: DT004 Harga: RM30 | RM35 . . •Lembut . •Senang Bentuk & Pakai . •Mudah Digosok . 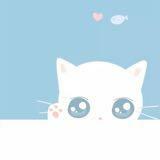 •Ringan . •Tak Licin . •Tak Mudah Kecut . 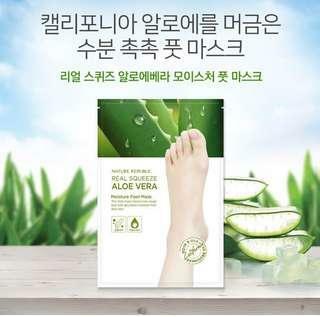 NATURE REPUBLIC REAL SQUEEZE ALOE VERA MOISTURE FOOT MASK 16ML . RM25 | RM30 . Designed to restore skin elasticity,preserve vitamin balance & optimal level of moisture to prevent occurrence of dry skin. The mask nourish the skin and slow the aging process . 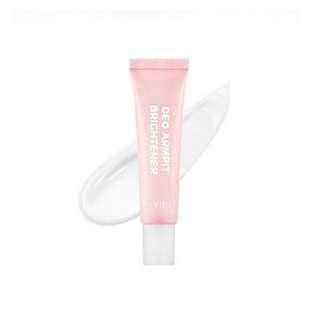 APIEU DEO ARMPIT BRIGHTENER 20G . RM35 | RM40 . 🚚FREE POSTAGE . Create smooth surface by exfoliate & removes impurities. 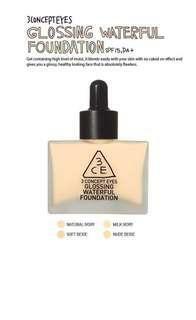 Refreshing,recharge and has sweet perfume effect . 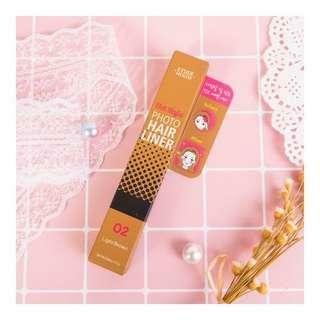 ETUDE HOUSE HOT STYLE PHOTO HAIR LINER 2.7G . RM40 | RM45 . 🚚FREE POSTAGE . 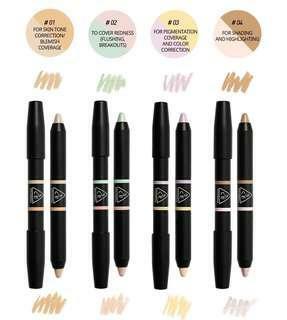 The super simple hairline makeup that provide full hairline fast by simply applying pencil and blending with the tip . 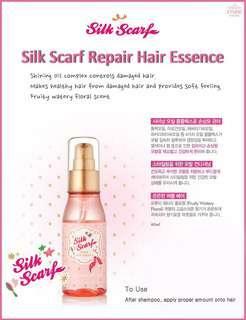 ETUDE HOUSE SILK SCARF HAIR ESSENCE . RM35 | RM40 . 🚚FREE POSTAGE . The nourishing essence makes extremely damaged hair with split ends super smooth . 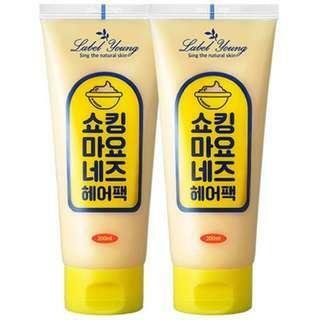 LABEL YOUNG SHOCKING MAYONNAISE HAIR PACK 200ML . RM65 | RM70 . 🚚FREE POSTAGE . Focus on damaged,unhealthy,splits end & dry hair. Enriched with egg yolk extract,Lemon fruit oil,olive fruit oil and more to create a natural protein collagen and sweet floral scent . 👝 SLING BAG 👝 . Code: RM009 Harga: RM35 Postage: Free Postage . 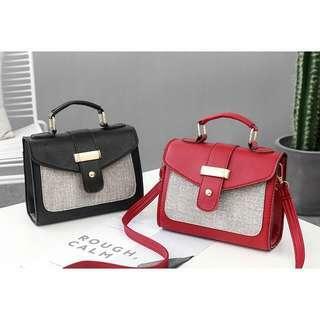 Material: PU Leather Size: 20 x 8 x 15cm Colors: Light Blue,Dark Blue,Pink,Grey,Red,Black .